Hi, we are Carmen and John, a german-kiwi couple operating a little rental van business. 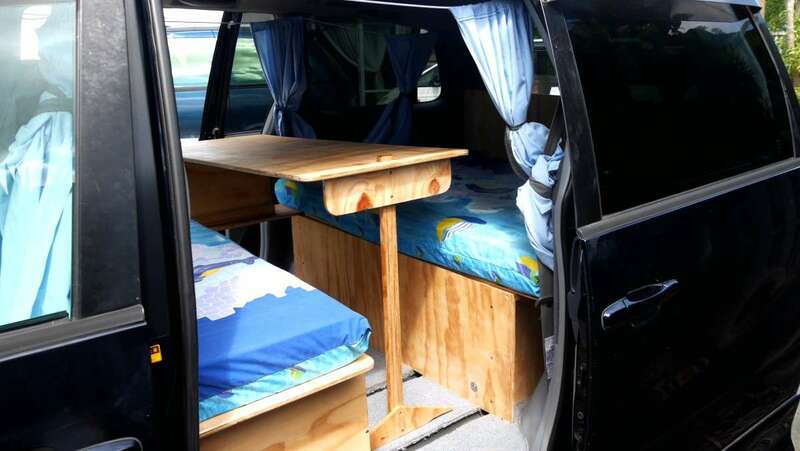 Our lovely Toyota Estima campervans have a bed which folds into a sitting area with a table. 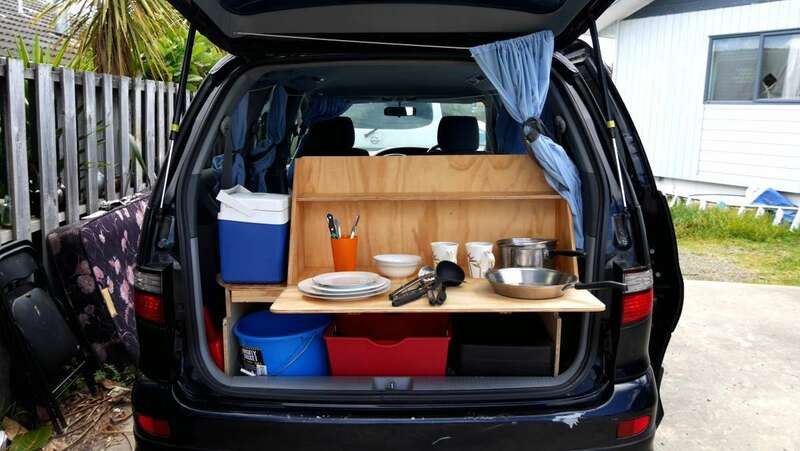 They have a kitchenette at the back of the vehicle. John builds the interior out of plywood himself. 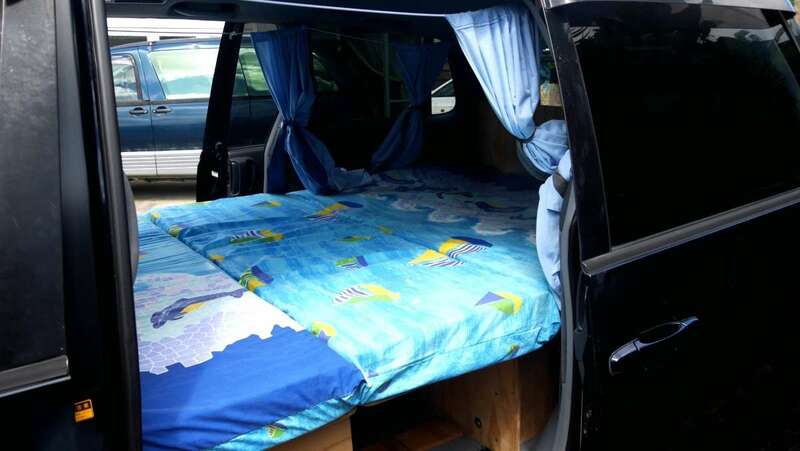 Our campervans have got all bedding and curtains. The kitchen kit comes with a camping gas stove, pot and pan, crockery and cutlery, a washing up bucket and a small cooling box. It is really easy to get to us. You take the bus to Kaiwaka, we pick you up from there. The photos displayed may not identical to the vehicle supplied. However, all vehicles will be of a very similar design and layout.